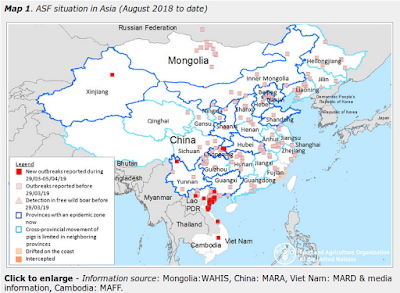 For several weeks we've been watching media (and official) reports coming out of Russia, Ukraine, and Eastern Europe describing a very heavy A/H1N1pmd09-centric flu season (see here, here, and here). Getting good information out of this region of the world can be difficult, and media reports are often unreliable, so gauging the size and severity of this outbreak remains a challenge. While there are some indications influenza activity may have peaked in these regions, we continue to see reports of thousands of school closures, crowded hospitals and influenza-related deaths. The World Health Organization has published the following update on Ukraine's flu situation, where they acknowledge the concerned media coverage and unofficial reports of elevated flu deaths. They warn that for some countries, an accurate post-season appraisal of this year's flu season may take months, or even years. This will be updated as necessary. Readers should in the meantime consult MOH website and FluNews Europe website. Influenza continues to circulate in Ukraine as well as the WHO European Region, with several regions in Ukraine exceeding the epidemic threshold. In week 05, the Ministry of Health in Ukraine reported a decrease in influenza activity but it cannot be predicted if this decrease will continue. The predominant strain continues to be influenza virus A(H1N1), the virus that emerged during the 2009 pandemic, and is known to cause illness in young adults including pregnant women. An increase in severe hospitalized cases due to A(H1N1) has been seen in Ukraine since the end of 2015 but sentinel surveillance systems report that this has also declined for week 05. 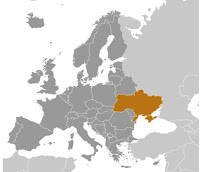 Several other countries in Eastern Europe are experiencing similar cases of severe disease due to A(H1N1) (see link to Flu News Europe below) and WHO Euro regional office are currently conducting a risk assessment of the situation. This influenza strain type and the two other seasonal detected types of H3N2 and B are included in seasonal influenza vaccines and are recommended for use in risk groups (children between the ages of 6 months and 5 years, persons above the age of 65, persons above the age of 6 months with underlying conditions, pregnant women and health care workers), including those in conditions where seeking medical help may be limited. WHO continues to recommend all patients in high risk groups with uncomplicated illness and hospitalized patients with suspected influenza be treated with oseltamivir or zanamivir based on clinical presentation. Under no circumstances should treatment be delayed pending laboratory confirmation. Persons not in a high risk group but who develop signs or symptoms of progressive disease or fail to improve within 72 hours of the onset of symptoms, should seek medical attention. This will require heightened awareness of both clinicians and the public. WHO does not recommend the use of masks by the general public, nor the closure of schools during seasonal flu, as measures to stop the spread of influenza. Closure of schools may be considered as a local measure when attendance drops below a certain level, due to influenza or other causes. estimates of deaths due to influenza are difficult to obtain. It may only be possible to calculate estimates of influenza-related deaths when vital statistics data become available, often with a delay of months or even years in some countries. For the general public including UN staff in the country, it is recommended to stay at home and to stay away from work, schools and crowded places if you have influenza-like symptoms, keep at least 1 meter distance from other people, regularly wash your hands with soap and water, and dispose of tissues properly directly after use.